There are certainly many arguments to be made about what makes the cinema the cinema, what makes a film a film. A popular argument does rest on editing: the complementation and/or juxtaposition of images. Still, as a well-known fan of post-intellectual montage Socialist cinema (e.g. Tarkovsky), and indeed the cinema post-that (e.g. Tarr), the long take, in which the cameraman effectively becomes the editor is hardly a new concept to me; nor one that presents many inherent hurdles I need to “get over” to enjoy the film. 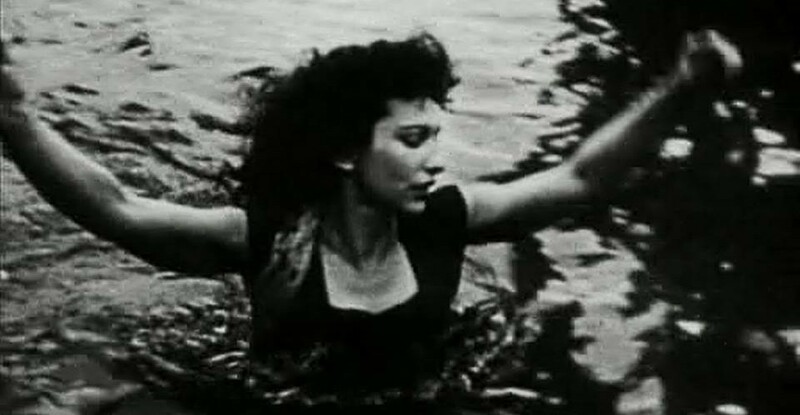 Nor should it be: the single shot – even the single frame – film has existed, both in concept and reality, bouncing in dialogue between the avant-garde and mainstream cinema for decades now. From Frampton to Hitchcock to Sokurov to Iñarritu. However, Victoria is certainly one of the first genre films I’ve encountered, filmed in one take; generic devices so often by definition relying upon traditional filmic conventions such as editing. I would tentatively suggest that one of the main events that has happened in the 13 years since the release of Russian Arkin 2002 and Victoria, first released in Germany in 2015, was the found-footage-horror boom (The Blair Witch Project was released in 1999, but the explosion of this style to ubiquity only really happened in about 2007). It only was a matter of time, therefore, before the steady increase of genre film with the atmosphere and simulation of an unedited, real-time occurrence would result in a film like Victoria, the moment the technology was there. The film can, more or less, be split into thirds: before / after Victoria decides not to end her night by opening up the café at which she works, and instead to help her new friends out, with what she doesn’t yet know, and before / after that event itself. I certainly enjoyed the first two-thirds, and found the last section certainly more than watchable. It is in no way unimpressive to see a film develop so seamlessly from a Before Sunrise walk-and-talk to a high-octane crime drama. However, as will all films, it is important to ask: is a film more than its formal elements, even if we understand acting and narratology as a formal element? Does it matter that the story and motivations, divorced from the formal devices – fabulous as they may be – are largely workaday and a little unsatisfactory, or should we just allow them to blend in our minds, as indeed they should inherently do? One of the ways in which the effect and affect seem most connected is the phenomenological impression left on the viewer. By the last section of Victoria, the shaky camera and high intensity of the storyline combined to make me feel utterly seasick and a little anxious for the film to end, though I was acutely aware that this was quite likely a genuine empathetic connection with the protagonist. However, the fact that Victoriadrew my attention to the formal process of itself, even as it had an emotional, even haptic, effect on me left me with the impression I had seen a gimmick – an engaging, well-acted gimmick – but a gimmick nonetheless. However, Victoria still wins on many levels: Cinematographer Sturla Brandth Grøvlen gets billed in the end credits above director Sebastian Schipper, as is only correct – as good as the majority of the acting is (and it really is), the camera work can really only be classed with one word and that is “heroic.” The fluidity not only of its movement (how Grøvlen wasn’t tripping over himself constantly through all the location changes on foot and in automobile is beyond belief in and of itself) but its focus changes provide a film in which the whole frame is constantly vital: moving deftly from exactly those sorts of close-ups Hitchcock famously likened to crash cymbals to a shot that utilises foreground and background simultaneously, with the spectator encouraged to study both, even when one is highly blurred. Such an effect is truly harmonious in the context of a film in which the protagonist is a non-German-speaker, surrounded by Germans, affording the spectator a slight upper-hand in terms of understanding over Victoria, even though we are constantly aligned with her. Aptly enough, the recent found footage (esque) horror Unfriended, set entirely on a computer screen made use of the spectator’s ability to read messages the protagonist would write and delete before sending them, as way of giving a unique point of access to her interior monologue.Victoria‘s use of Sonne, Boxer and Blinker’s frantic German discussions, going right over Victoria’s head give a similar effect, albeit in reverse. There is an awful lot going for Victoria, thus I don’t want my labelling of it as a gimmick to be seen as pure dismissal. Rather,Victoria should stand proudly as testament that, just because a film may be groan-inducingly characterised as a “rollercoaster ride of a movie” doesn’t mean the rollercoaster can’t have a little depth.